This Saturday, 6 April, sees the opening of Roots Larder’s permanent presence in Stafford. After spending its first 6 months as a mobile service, eco-friendly business Roots Larder is now planting its roots within Tranquility, off Newport Road close to Stafford train station. 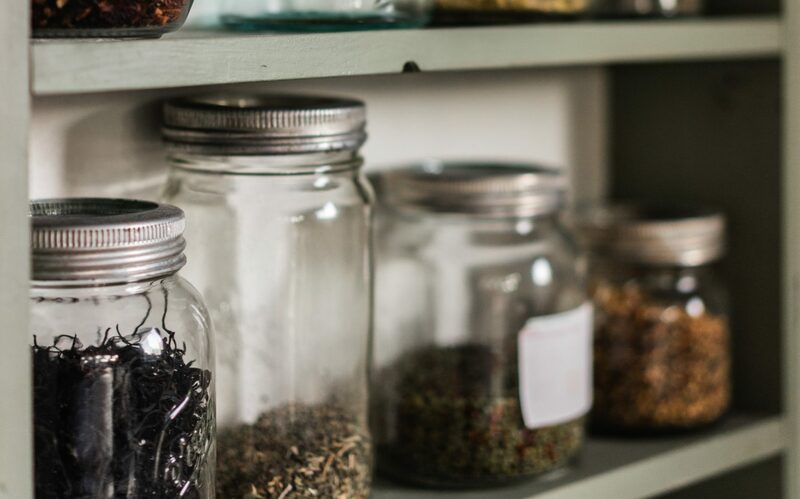 The local business offers bulk wholefoods including a range of spices, herbs, grains, pulses, cereals, dried fruits, nuts and loose leaf teas, all without unnecessary plastic packaging. All are sold by weight, so you can buy as much or as little as you need to cut down on waste, and customers are invited to bring their own containers to fill. Until now, Roots Larder has operated at local markets from a trusty transit van as well as offering a click and collect service from Stafford, Eccleshall, Stone or Uttoxeter. 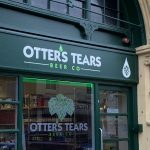 To enable the shop to carry more stock and offer a wider range of goods that fit in with the ethical approach, owner Nigel has decided a permanent shop space is needed. 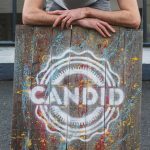 Along with the selection of store cupboard essentials and plastic free toiletries and kitchen wares that Roots Larder has become known for, Nigel will also be introducing Fair Trade silver jewellery, Rawsome bars, fresh bread, natural incense, stained and fused glass items, and handmade dog accessories. The shop will be open from 10:00-15:00 on Saturday for the launch event. 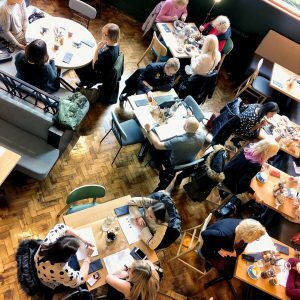 Meanwhile on Friday 5 April, small business owners are invited to share what they do and chat reducing single use plastic at a pre-opening networking event in store from 18:30-20:30. The Boat Inn at Lichfield fought off tough competition to put Staffordshire on the map at Estrella Damm’s Top 50 Gastropubs awards ceremony earlier this week. The judges praised chef-patron Liam Dillon for transforming The Boat into a ‘very special venue’ and a worthy winner of the Newcomer of the Year title for 2019. The award was presented in a ceremony at Lillibrooke Manor in Maidenhead on Monday. Liam worked for Marcus Wareing at the Berkeley in London after graduating with a degree in the culinary arts from Birmingham College of Food in 2006. Thus began a decade of striving to work in the best kitchens in the world, starting off in Sydney at Quay before taking in Eleven Madison Park and Noma in Copenhagen, among others. Since opening The Boat, he’s gone on to win Best Chef at the Midlands Food, Drink & Hospitality Awards last year and the venue picked up Best Independent Restaurant at the Taste of Staffordshire Awards 2018. Look out for our interview with Liam in the Spring edition of Sauce, out in March. Chef Ryan Shilton is raising the bar for fine dining in the heart of Lichfield with the opening of his new restaurant, Larder, this week. Sauce were invited along to a preview evening at the freshly renovated premises, which sits next door to Bore Street Bakery. On the ground floor there’s a bar exclusively for restaurant guests where we’re served a biscuity Hattingley Valley sparkling wine from Hampshire alongside two snacks – a goat’s cheese and basil tartlet and venison tartare with pear – which set the tone for the evening’s rich gastronomic offering. There’s an extensive list of Old and New World wines to choose from, as well as a good selection of beers (including locally brewed Freedom lager), spirits and liqueurs. We order before being shown upstairs, where the intimate dining room takes up the first floor. With comfortable chairs upholstered in teal and grey, dark wood, plush carpet and gold accented accessories, it feels suitably sumptuous without being over the top. Which is a description you could equally apply to the food – like the bite of pork belly with apple and ginger purée that appears promptly on our table, skewered on chef’s plating tweezers. We are treated first to monkfish, lettuce and tartare sauce, followed by barbecued wagyu brisket with a smoky black garlic purée and enoki mushrooms. Next up is celeriac three ways – baked, pickled and raw – with oregano and a delicious Lincolnshire Poacher sauce. Everything is served on bespoke handmade ceramics from a potter friend of Ryan’s, and it’s obvious that care and attention has gone into every detail, such as the unusual Portuguese cutlery. The menu’s crescendo is perfectly pink Creedy Carver duck with onion, peppercorn sauce and a silky mousse that Ryan explains is made from roast potatoes and duck fat. The palate cleansing pre-dessert is probably the most tastebud-challenging – lime curd with the texture of avocado served with bitter curried caramel, meringue and a very hoppy IPA jelly. Dessert would satisfy any sweet tooth, however, consisting of chocolate ganache, hazelnut ice cream and a maple vinegar jam. Afterwards we head upstairs for a peek at the very calm and collected second floor, where guests will soon be able to enjoy a chef’s table experience sitting in the kitchen itself. The apparently unflappable Ryan recently left his position at the three-rosette Four Seasons at Swinfen Hall Hotel to open Larder, where he has freedom to showcase the best seasonal British produce on his own terms. When it opens later this week, the restaurant will offer lunch Thursday to Saturday, with five and seven course tasting menus on offer during evening service, and a three course Sunday lunch. Choice and vegetarian menus will also be available. 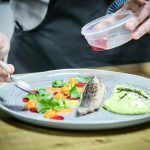 With exceptional food, a relaxed atmosphere and attentive but unobtrusive service, Larder is sure to become a popular fine dining destination for lucky Lichfield locals and no doubt will attract attention from further afield. Diwali is celebrated by Hindu, Sikh and Jain communities all over the world every year – this year it falls between 6-10 November. We visited Zalena, who hosts Indian cookery classes and demos as Rose Petals and Rice, to find out about the food traditions associated with the Festival of Light. Traditional sweetmeats known collectively as mithai are associated with Diwali eating, including the jalebi and gulab jamun that Zalena prepared for us. 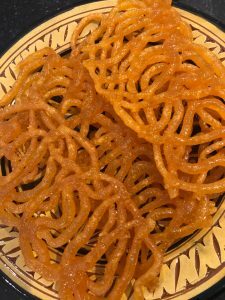 The jalebi are crunchy swirls of gram flour batter piped into hot oil before being soaked in sugar syrup; the golden colour is achieved with a mix of turmeric and paprika. Gulab jamun are perhaps best described as a rice flour doughnut doused in sugary syrup. They can be flavoured with anything from cardamom to vanilla to rose water and are delicious served warm with kulfi or cardamom ice cream. Families and friends visit each other’s houses, where they might be greeted by chalk patterns drawn on the floor for good luck – and its obligatory to eat at every stop. While there are samosas practically on tap everywhere you go, Zalena says, there are plenty of other savoury treats associated with the week-long festival. Different communities have their own dishes and recipes for special occasions like Diwali. In the Parsi community, of which Zalena’s family is part, a painstakingly prepared lamb biryani is the equivalent to a Christmas turkey. Another popular dish is cavabs. 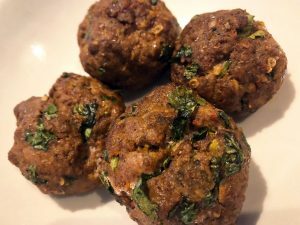 These spicy meatballs are prepared with finely ground mince – Zalena used lamb but chicken, beef or a vegetarian substitute will work. They may look unassuming, but they pack a huge punch, flavoured with a mix of spices and fresh coriander. Zalena says people attending her classes or demos are often surprised how little fat and salt go into her cooking. The cavabs, for example, are cooked in their own juices with only a pinch of salt added. Then there are pani puri – a familiar street corner snack across India, but not so well-known here in the UK. Inside a thin, crispy shell Zalena packs a ‘Bombay mix’ of puffed rice, peanuts and sev, along with red onions, fresh coriander and a drop of chilli sauce. Then she spoons over melted tamarind paste dissolved in water. The extraordinary explosion of flavours and different textures in your mouth is something else. Diwali is similar to Christmas in that everybody comes home to spend time with family and friends, according to Zalena. And just like Christmas, it’s when we bring out the rich, comforting, luxurious recipes that we might not indulge in for the rest of the year. Marking the end of the harvest and the darkest night of the month, the Festival symbolises the triumph of light over darkness, and is all about enjoying good food and good company. If you would like to learn how to make delicious Indian dishes for yourself and your family, visit Zalena’s Facebook page, where you can also find details of her upcoming demos. The summer heatwaves have faded into memory and the long nights are drawing in. At this time of year the cosy pubs and cafés dotted across our beautiful county take on a special appeal as havens from the vagaries of the ever changeable weather. It’s only natural to want to sink into a snug chair and share a hot chocolate, or retreat to the local for a pint of ale and some hearty seasonal fare during the long winter months. Whether you want to meet friends, catch up with family you haven’t seen for a while, chat with the neighbours or just enjoy a quiet hour alone, you’re spoilt for choice in Staffordshire. When the gales are howling and the drifts are piling up, these are a few of our top picks for places to hole up and shelter from the snowball fights. On the border of Staffordshire and Derbyshire in the tiny village of Alstonefield sits The George. This family-run pub in the White Peak area of the Peak District National Park is just a stone’s throw from Mill Dale and Dovedale, close to Ashbourne, Bakewell and Buxton. All in all it’s splendidly positioned as a refuge from the biting cold after a good old-fashioned ramble. 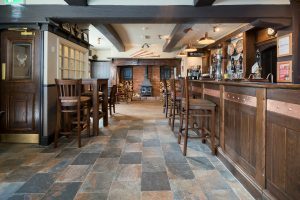 The wooden beams, quarry tiles and crackling log fire create the perfect atmosphere to enjoy real ales and carefully selected wines. The snug and dining room have been restored with lime plastered walls and antique farmhouse furniture. While the butcher’s block and exposed stone give a rustic feel, candlelight from the hurricane lanterns adds a touch of elegance. This is matched by the elegance of the food coming out of the kitchen, which has received recognition in The Good Food Guide since 2009, and from Michelin and Sawday’s among others. Quality local produce is the foundation of the menu, and the owners work with nearby allotment holders, farmers and businesses to keep food miles to a minimum. Across the lunch, dinner, and tasting menus, all dishes are prepared fresh on the premises with ingredients sourced, wherever possible, from within a 15 mile radius. 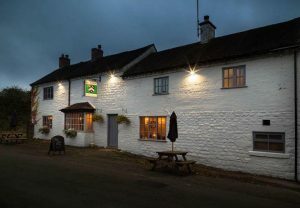 At this charming country pub on the border of Staffordshire, Shropshire and Cheshire everyone is welcome to relax and enjoy the hospitality of Julian, Helen and their team. The White Lion pride themselves on sourcing only the highest quality seasonal ingredients and cooking them beautifully and simply. As you can read elsewhere in the Autumn/Winter issue, the fish specials are not to be missed. With local ales alongside continental beers and an array of speciality gins on offer, you can while away many a pleasant hour here. 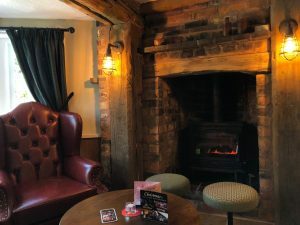 The snug is a cosy hideaway with comfortable leather chairs and soft lighting, while the bar’s flagstone floor, armchairs and roaring open fires will welcome you (and your dog) in from even the coldest of days. It’s in the picturesque little mid-Staffordshire village of Gnosall that you will find this family and dog-friendly pub. 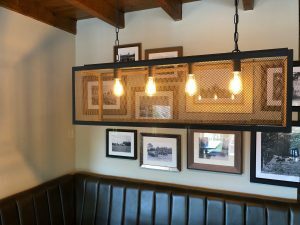 At the heart of the parish, The Horns has undergone renovations recently and prides itself on serving homemade, locally sourced food and cask ales in a wonderful setting with a lively atmosphere. 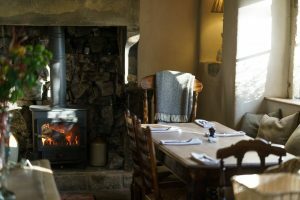 The beamed ceiling, exposed brickwork and log burning stove complement the menu perfectly – it is full of hearty but imaginative food using seasonal ingredients, including produce from Neil and Michelle’s own allotment. Duck in out of the cold to enjoy the daily specials, and check out the multiple vegetarian, vegan and gluten free options on the menu. A side shoot of the family-run Whites Sporting and Clothing outlet at Oakedge Park, Whites Coffee Shop will draw you in with its log burning stove, which can be found roaring on a winter afternoon. With trained baristas on hand to prepare the freshly ground, locally blended and roasted Chartley Coffee, this is the perfect spot to enjoy a toasted tea cake or crumpet after a wintry walk at nearby Shugborough Hall or some clay pigeon shooting at Oakedge Shooting Ground. There are also gluten free, soya and skinny options available in the recently expanded coffee shop. The team place an emphasis on low food miles, so the milk comes from Wells Farm Dairies and the apple juice is pressed at Haywood Park Farm less than a mile down the road. What’s more, everything is served on Milton China. 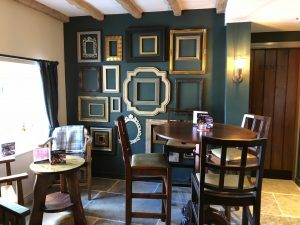 Sitting on the banks of the River Hamps in the tiny Staffordshire Moorlands village of Onecote near Leek, The Jervis Arms has undergone a significant programme of renovations over the last few years. This whitewashed Peak District pub has everything you could ask for from a winter hideaway, including warm woollen blankets on stove-side pews under a cosily low-beamed ceiling, with brass candlesticks and fairy lights contributing to the welcoming glow. The menu of ‘pub classics with a twist’ features clearly marked vegetarian and gluten free options. Enjoy a pint from nearby Whim Ales at Hartington, or any of a wide selection of gins from the bar. A hidden gem in the beautiful surroundings of the Churnet Valley, you can sometimes hear the screams of thrillseekers enjoying Alton Towers, just a mile away in the next valley, at The Rambler’s Retreat. However, between November and March the theme park is closed and you can appreciate the peaceful woodland surroundings in all their glory – perhaps even under a blanket of snow. Discover comfort food and cockle-warming hot drinks in this cosy tearoom, which is housed in a striking 19th Century lodge with the Staffordshire Way running right past the front door. Open all year round, there’s nothing better than settling in with a huge slice of their home-baked cake or lemon meringue pie and a sumptuous hot chocolate after a muddy walk through the woods. The latest exciting addition to Stone’s thriving food and drink scene is BEAR’s new branch on the High Street. Sauce was invited to one of the pre-launch events to get a taste of what’s going to be on offer when the store opens to the public on Thursday 1 November. The first striking feature when you walk through the heavy, draught-fighting curtain, is the beautiful decor. 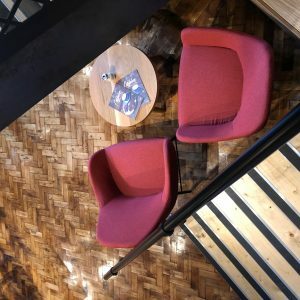 Craig and Michael, the local duo behind BEAR, have kept the original parquet floor while making the most of the old bank’s fantastic high ceiling by installing a mezzanine with comfortable seating. With huge windows making the most of the natural light on even the grimmest of days, it manages to be light and airy but also cosy, with a palette of deep blues, greens and pinks complemented by modern furniture and lots of greenery. First and foremost, this is a speciality coffee house. You can choose between the chocolatey house coffee from Myanmar, the current guest – a fruity Ethiopian coffee – and there’s also the option of a citrusy Peruvian decaf. If coffee isn’t your bag, there are plenty of teas and soft drinks to choose from too. Although great coffee is at BEAR’s core, you can’t miss the fact that it’s also a kitchen and bar. As we went along to the brunch event we were able to sample the delicious food, but even on a Friday it was a bit too early for gin, cocktails or craft beer (served from 10am in case you’re interested). In addition, there’s a retail section where you can buy coffee brewing essentials like Chemix and Aeropress or keep cups if you need to take your drink away. There is no shortage of knowledgable, friendly staff who are able to talk you confidently through the menu. We went for the smashed avocado toast with eggs and the baked eggs with feta, served with flatbread. You can see right into the kitchen, filled with the smiling faces of the team that will prepare you some fresh, super-tasty food – including perfectly poached eggs. There’s an ‘All Day’ menu that takes over from breakfast, with some brunch items and a small but thoughtfully formed list of sandwiches, salads and mains. In the evening the food offering switches up with a focus on the social. There’s a selection of small plates and pizzas designed for sharing, with a very Mediterranean feel – you’ll find sampadori olives, caprese salad and chorizo on there, to name just a few. 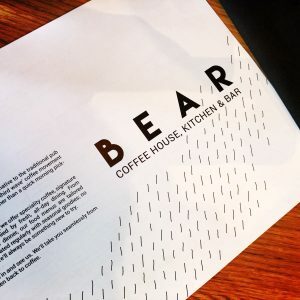 As far as we can see, the team behind BEAR certainly seem to have found their recipe for success with speciality coffee, fuss-free dining and a relaxed atmosphere. Check it out for yourself from next week and let us know what you think. In the last couple of weeks, BURR Speciality Food + Coffee has been unveiled as the new face of RAWR at its Trentham Shopping Village location. A lick of paint has given the café a lighter look, with fresh pink and wood veneer signage that is modern and welcoming. 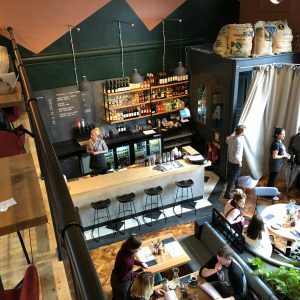 The RAWR spirit of warm hospitality matched by great real food and drink is very much alive in BURR, but the transition to focus on coffee gives director Gemma Bloor a little more flexibility and hopefully will cater more effectively to daytrippers and tourists as well as locals. Working incredibly hard to operate at two locations, Gemma and her partner Steve have seen the brand evolve in different directions in Hanley and Trentham. The smaller kitchen at the Trentham site means the menu has never been as extensive and experimental as it is at RAWR Hanley. And the health food and coffee industries increasingly appear to be poles apart to Gemma. “We’re passionate about coffee – we always have been – but we’re limited in how far we can take our exploration of real food and coffee under the RAWR brand, because of how it’s perceived,” she told Sauce. The menu at BURR has been stripped back to tasty brunch and sandwich staples, with some tactical additions (hello, bacon bun). 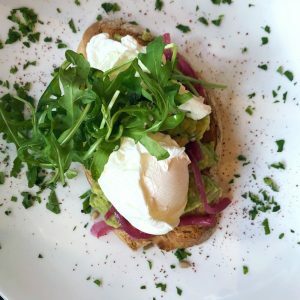 But many of the dishes you’ll find on there are old favourites like avo toast or eggs Florentine, and you can still get Gemma’s famous grain bowl. The menu remains as inclusive as ever with options for vegetarians and vegans, and there’s a wide choice of milks to take your ‘not coffee’ or hot chocolate to the next level. BURR is also home to a new giftware section where you can pick up the Bird & Blend Tea and Climpson and Sons coffee that are served in-house, as well as an array of brewing paraphernalia from Aeropresses to V60s, whisks and measuring spoons. 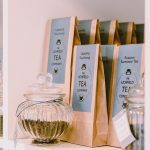 While they’ve been serving Climpson and Sons for a good long time, Gemma recently switched tea suppliers to Bird & Blend, with eight different blends currently stocked and Spiced Pumpkin Pie as the current guest tea. The café recently received its alcohol license, so there will soon be a selection of gins available and craft beer to take away or drink in. The space is also available for private hire, as is RAWR Hanley, where you can now book a Christmas party package from £25pp.